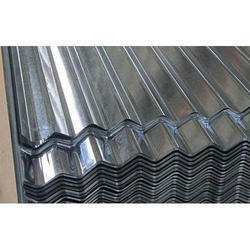 Offering you a complete choice of products which include gc sheets, galvanized corrugated sheets and gc sheet. 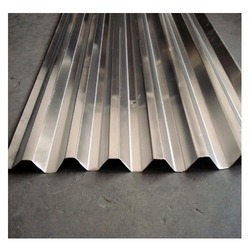 We are the leading trader and supplier of GC Sheets(Galvanized Corrugated Sheets). This GC Sheet is highly appreciated by clients for its perfect finishing and sturdy construction. These are appreciated by our clients for corrosion resistance, high durability and long service life. We provide GC and GP Sheet in various sizes, dimensions, and shapes to suit varied requirements of our esteemed clients. 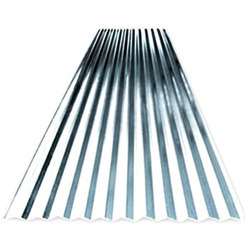 Galvanized Corrugated Sheets offered come with zinc coating support of 60-180g or as required by the customers as well as in thickness options of up to 0.80mm. Further, these can be available in widths of 750mm, 900mm, 1250mm and others as well as in surface finish choices of regular, zero spangle, skin pass, dry and others. Some of its features include superior cold bending molded manufacturing support, strong anti-corrosion properties, suited for use as basic plates of color coated steel coils, available in industry standard options of JIS, ASTM, DIN; also used in roofing, household appliance and other areas. GC Sheet offered features quality construction finish and can be made available as per different industry standards like JIS, EN and others in thickness range of 0.15mm to 2mm as well as in widths of 700mm to 1200mm or as demanded by the customers. Further, these sheets come with zinc spangle options of regular/minimum as well as in coil weights of up to 10MT. Some of its features include firm surface finish, excellent corrosion resistance, good welding performance, superior cold working forming performance, choice of OEM specifications among others.